Ahead of its full European debut at the Geneva Motor Show, Hyundai has unveiled more information on the new Veloster coupe. With sales of the original Coupe ending in 2009, the manufacturer has focused much of its attentions on affordable small city and family cars. The arrival of the new coupe shows the firm isn't just focused on the ultra-sensible. This latest coupe comes with some unusual features with the door layout the highlight. 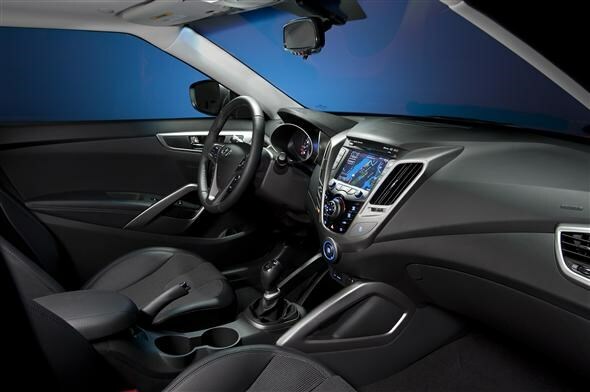 Rather than offering the usual two-door style, which can often be difficult for rear passengers, the Veloster comes with one door on the driver's side and two doors on the passenger side, making it easier to get in the rear. 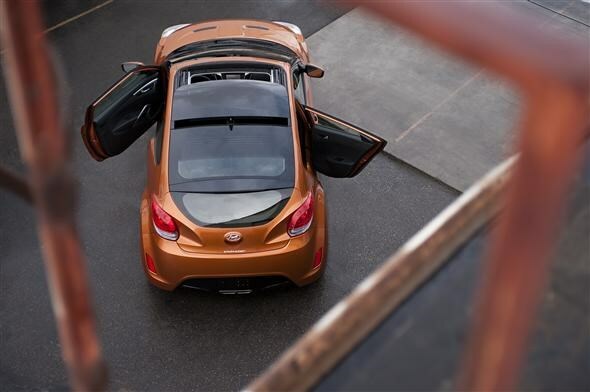 On the performance front the Veloster comes with just one engine when it goes on sale in October. The 1.6-litre petrol GDI comes with 136bhp and is offered with a six-speed manual or the manufacturer's first ever double-clutch automatic. The theme of affordability continues with emissions dropping to 132g/km with the stop/start system, meaning road tax of £110. 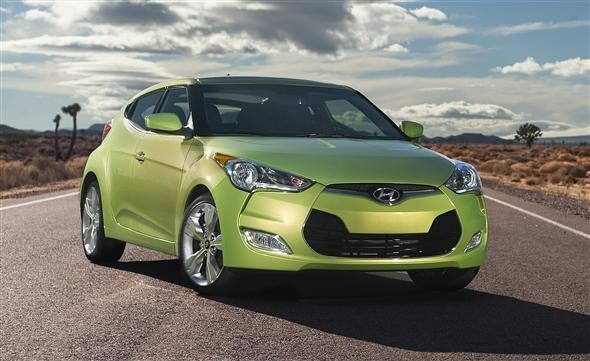 Aimed at rivals like the Volkswagen Scirocco and Megane Coupe, the Veloster is a svelte looking coupe. The arching roofline does make things a little awkward for any taller rear passengers that have to duck their heads from the rear glass hatch but, despite the slightly cramped rear space, bootspace is a useful 320 litres - bigger than the VW model. This new car continues the Hyundai design style seen on the new and ix20 and i40 models, with the hexagonal grille and the strong shoulder line along the side of the car. Interior tech highlights include a seven-inch touch screen that not only houses the sat nav but also plays DVDs, and allows drivers to connect to a Sony PlayStation as well. 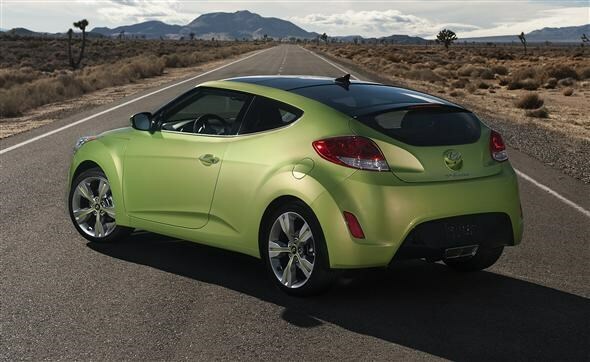 The Hyundai Veloster is set to go on sale in the UK in October, with a full European unveiling at the Geneva Motor Show.